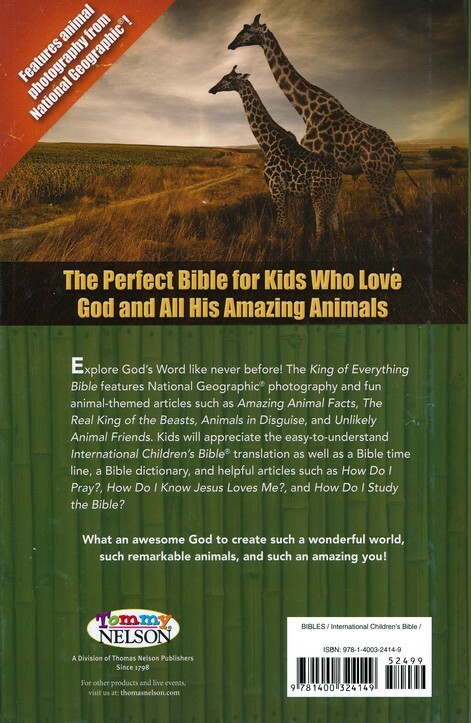 Kids are naturally fascinated by the animals that walk the planet with us, and this Bible will encourage that sense of wonder. 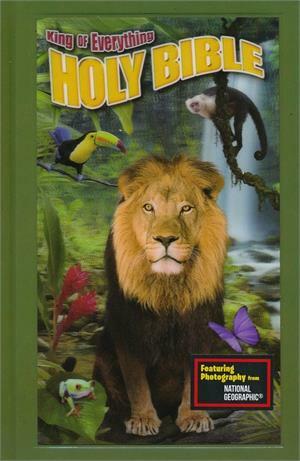 Featuring a detailed 3D cover and 48 pages of custom inserts with spectacular photography from National Geographic, this International Children's Bible will help kids more fully appreciate our amazing God, the Creator of all things great and small. The full-color features reinforce biblical knowledge and include: Bible Time Line; Bible Verses to Know; Maps; and Dictionary of People, Places, and Things in the Bible. 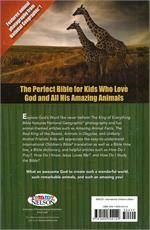 Special articles include The Real King of the Beasts; Animals of the Bible; Amazing Animal Facts; and much more! Containing the Old & New Testaments.